For those who want it go to http://tools.google.com/pinyin/ and click on the “big blue button” to download it. Install it the usual way. And continue when finished. 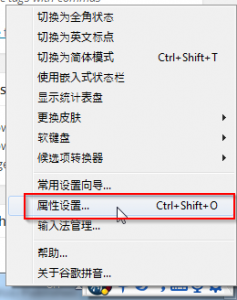 From the language bar, click the “EN”, then select “Chinese (Simplified, PRC)” to change the language. The Google Pinyin toolbar will appear. Then click the settings menu item shown below. 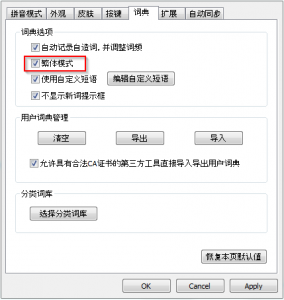 Select the fifth tab then make sure the second option (for Traditional Chinese) is checked. Click “Apply” to apply the changes, or “OK” to apply and exit the options page. From the language bar, click the “EN”, then select “Chinese (PRC)” to change the language. The Google language bar appears. Right click the blue ball part of the Google bar, and select the item shown. Check the “Traditional Chinese” option. All the characters that appear when using the tool should now be Traditional Chinese. The characters in all the menus and options remain in Simplified Chinese.